Haraz district is a pleasant mountainous area in central Alborz Mountain Chain. 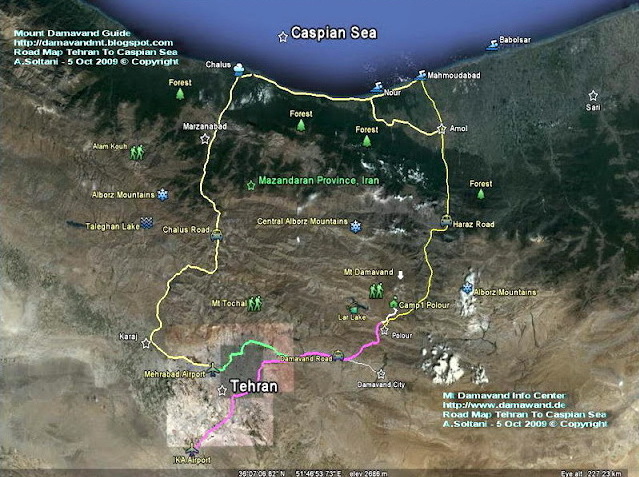 This territory is situated in northern Iran midway mega city of Tehran and the Caspian Sea. Due to its natural attraction and landscapes, it attracts numerous tourists in weekends and holydays mostly from the capital Tehran. The Haraz zone is well known for the Haraz Valley, the Haraz River, the Haraz Road and the Larijan Thermal Springs. The other sightseeing' parts in the area are AbAli Ski Resort, Cave Gol e Zard, Cave Moon and many more mountains, vilages, traditional restaurants, gardens and recreational places. Mount Damavand is the most prominent feature of the Haraz region and an ideal place for Iranian and incoming mountain tourists for summer sports such as hiking trekking, mountain biking, mountaineering and also winter sports like ski, snowboard and snowshoes. Damavand is the highest peak of Iran, the highest summit in Middle East and the second highest volcano in Asia and the northern hemisphere. Among the beauties of the Haraz zone, Mount Do Berar is the other major mountain in the area. (Do Berar means two brothers). Haraz Road is the only access road to Mount Damavand. It is a narrow mountainous way which passes through beautiful Haraz Valley alongside the Haraz River. It is one of the 4 main roads which connects Tehran to the Caspian Sea in north of Iran. Remember in the Iranian weekends (Thursday and Friday) and holidays there is a heavy traffic jam on this road and to ease the movement of the cars, the road is turned to one way direction by police in the peak of traffic. Haraz valley in one of few cuts through the Elborz Mountains. It is a long deep narrow canyon, one of the longest valleys in Iran. The climate of the Haraz tourist zone is pleasant in summer but the weather is cold and freezing with snowfall in winter. Haraz valley is well known for its natural beauties. There are many good-looking villages and small towns and in this valley, like Polur, Reyneh, Abali, Hezar Dasht, Dasht e Mosha, Nava, Vana and Eira,... The attractive natural attractions of Haraz Valley can be reached either by car or by trekking on foot. The main source of Haraz River is Mt Damavand and the neighbouring mountains. It flows northward in the Haraz Valley through Amol city in Mazandaran Province and ends to the Caspian Sea. It is about 100 km long. Haraz River takes its name from the Haraz region. Besuchen natürlicher Anziehung von Haraz Region. Damavand und Haraz Sightseeing Tours. Wanderung zum natürlichen Schönheit Haraz Road. Haraz Tal Abenteuer Wandertour 2015 Stadtrundfahrt, um die natürliche Schönheit der Haraz Flusses zu besuchen. Reisetour, um Wildtiere und natürlichen Schönheit der Berge Iran besuchen. Reisen Sie auf geschützte und Tierzone, Seen und Feuchtgebieten. Damawand Fotoalbum, Fotogalerie und Video. Wandern und Trekking-Touren zu Alborz & Zagros-Gebirge. Damawand Teheran. Damavand, Damawand, Haraz Road, Haraz Valley, Haraz Fluss, Larijan Thermalquellen, Tour, flora, Mohnfeld, Blumen, Tiere, Kräuter, der Iran, Teheran. Visit Natural Attraction of Haraz Region. 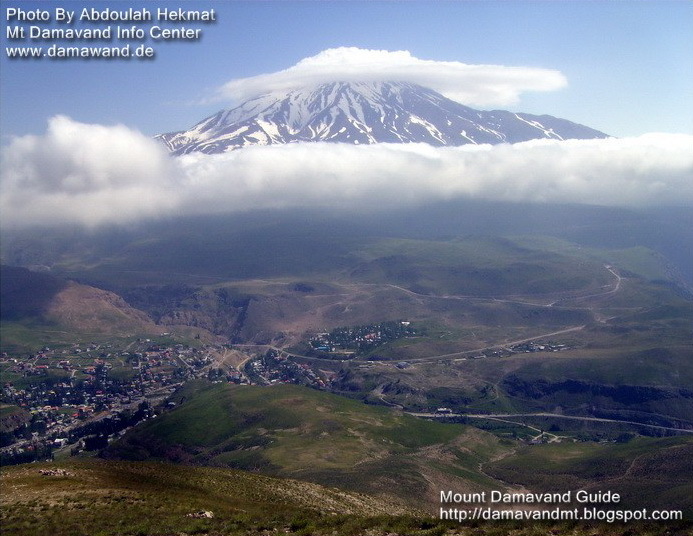 Damavand and Haraz Sightseeing Tours. Hiking tour to see natural beauty of Haraz Road. Haraz Valley adventure hiking tour 2015. Sightseeing tour to visit natural beauty of Haraz River. Travel tour to visit wildlife and natural beauty of Iran mountains. Travel to protected and wildlife zone, lakes and wetlands. 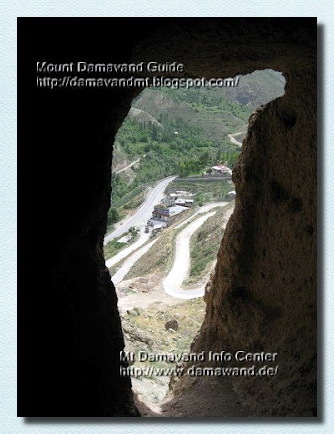 Damawand photo album, picture gallery and video. Hiking and trekking tours to Alborz & Zagros Mountains. Damawand Tehran. Damavand, Damawand, Haraz Road, Haraz Valley, Haraz River, Larijan Thermal Springs, tour, fauna flora, poppy field, flower, wildlife, herb, iran, Tehran. Visita de atracción natural de Haraz Región. Damavand y Haraz Tours. Senderismo tour para ver la belleza natural de Haraz Road. Haraz Valle excursión aventura gira 2015. Monumentos para visitar la belleza natural del río Haraz. Viaje excursión para visitar la vida silvestre y la belleza natural de las montañas de Irán. Viaje al protegidas y vida silvestre de la zona, lagos y humedales. Damawand álbum de fotos, galería de fotos y vídeo. Senderismo y trekking a Alborz y Montes Zagros. Damawand Teherán. Damavand, Damawand, Haraz Road, Haraz Valle, Río Haraz, Larijan Termas, tour, fauna flora, campo de la amapola, flor, fauna, hierba, Irán, Teherán. Visitez activité naturelle de Haraz Région. Damavand et Haraz Sightseeing Tours. Randonnée pour voir la beauté naturelle de Haraz Road. Haraz Valley Visite aventure en randonnée 2015. Visite guidée pour visiter la beauté naturelle de Haraz. Voyage tour pour visiter la faune et la beauté naturelle des montagnes Iran. Voyage à protégées et de la faune de la zone, les lacs et les zones humides. Damawand album photo, galerie de photos et la vidéo. Randonnée et trekking à Alborz & Monts Zagros. Damawand Téhéran. 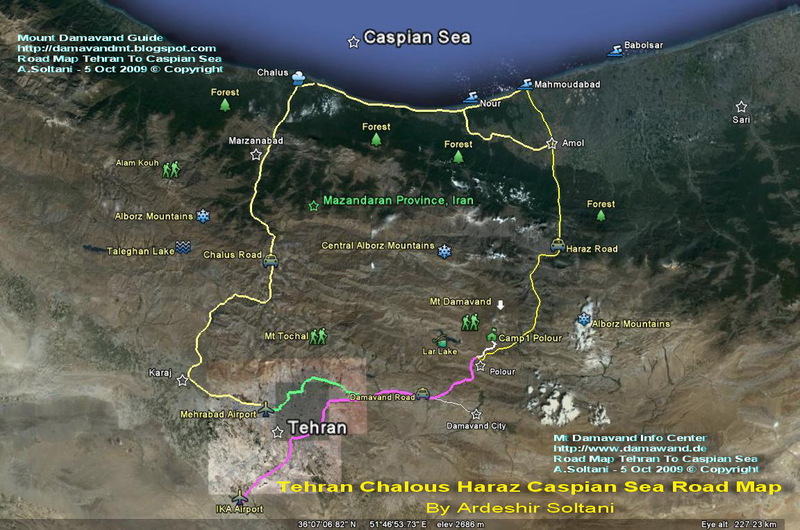 Damavand, Damawand, Haraz Road, Haraz Valley, Haraz, Larijan sources thermales, visite, la faune la flore, champ de pavot, fleur, la faune, l'herbe, l'Iran, Téhéran. Visita attrazione naturale di Haraz Regione. Damavand e Haraz Sightseeing Tours. Escursione per vedere la bellezza naturale di Haraz Road. Haraz Valley tour di avventura trekking 2015. Visita guidata della città per visitare le bellezze naturali di Haraz River. Tour Travel per visitare la fauna selvatica e la bellezza naturale delle montagne dell'Iran. Viaggio a protette e della fauna selvatica di zona, laghi e zone umide. Album fotografico Damawand, galleria di immagini e video. Escursioni e trekking a Alborz e Monti Zagros. Damawand Teheran. Damavand, Damawand, Haraz Road, Haraz Valley, Haraz Fiume, Larijan sorgenti termali, tour fauna flora, campo di papaveri, fiori, fauna, erba, Iran, Tehran. Besøk Natural Attraksjon av Haraz Region. Damavand og Haraz Sightseeing Tours. Fottur å se naturlig skjønnhet Haraz Road. Haraz dalen eventyr fottur 2015. Sightseeing tur til å besøke naturlig skjønnhet Haraz River. Reise tur til å besøke dyreliv og naturlige skjønnheten i Iran fjellene. Reis til beskyttede og dyreliv sone, innsjøer og våtmark. Damawand fotoalbum, bildegalleri og video. Fotturer og trekking turer til Alborz & Zagros. Damawand Teheran. Damavand, Damawand, Haraz Road, Haraz dalen, Haraz River, Larijan Thermal Springs, tur, fauna flora, valmue felt, blomst, dyreliv, urt, Iran, Teheran. Посетите Природный Привлечение Haraz области. Damavand и Haraz экскурсии. Поход, чтобы увидеть естественную красоту Haraz пути. Haraz Долина приключение пеший поход 2015 года Обзорная экскурсия посетить естественную красоту Haraz реки. Путешествие тур, чтобы посетить дикой природы и естественной красотой Ирана горы. Путешествие в защищенных и диких зоны, озер и болот. Damawand фотоальбом, картинная галерея и видео. Пешие прогулки и походы туры в Эльбрус и Загрос гор. Damawand Тегеран. Damavand, Damawand, Haraz Road, Haraz Valley, Haraz реки, Larijan термальные источники, экскурсия, фауна флора, мак поле, цветок, дикая природа, трава, Иран, Тегеран. Posetite Prirodnyy Privlecheniye Haraz oblasti. Damavand i Haraz ekskursii. Pokhod , chtoby uvidet' yestestvennuyu krasotu Haraz puti. Haraz Dolina priklyucheniye peshiy pokhod 2015 goda Obzornaya ekskursiya posetit' yestestvennuyu krasotu Haraz reki . Puteshestviye tur , chtoby posetit' dikoy prirody i yestestvennoy krasotoy Irana gory. Puteshestviye v zashchishchennykh i dikikh zony , ozer i bolot . Damawand fotoal'bom , kartinnaya galereya i video . Peshiye progulki i pokhody tury v El'brus i Zagros gor. Damawand Tegeran . 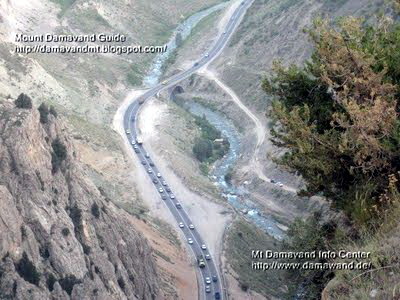 Damavand , Damawand , Haraz Road, Haraz Valley , Haraz reki , Larijan termal'nyye istochniki, ekskursiya , fauna flora, mak pole , tsvetok , dikaya priroda , trava , Iran, Tegeran .